We decided Cory's office needed a makeover... all of a sudden. 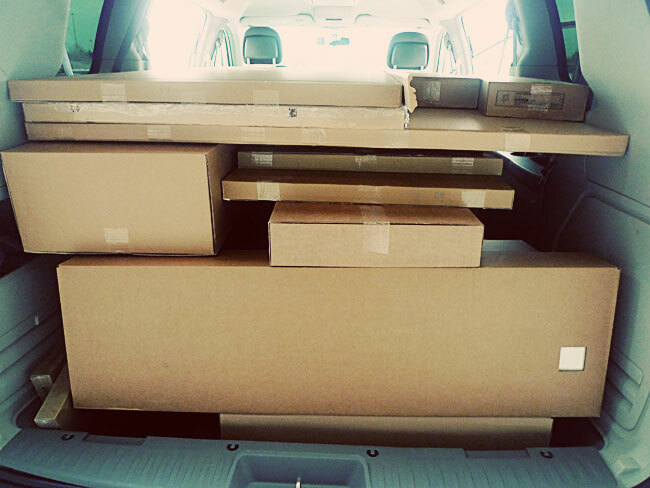 So we rented a minivan and stuffed it to the rafters with flatpacked goodies. Gotta love Ikea! 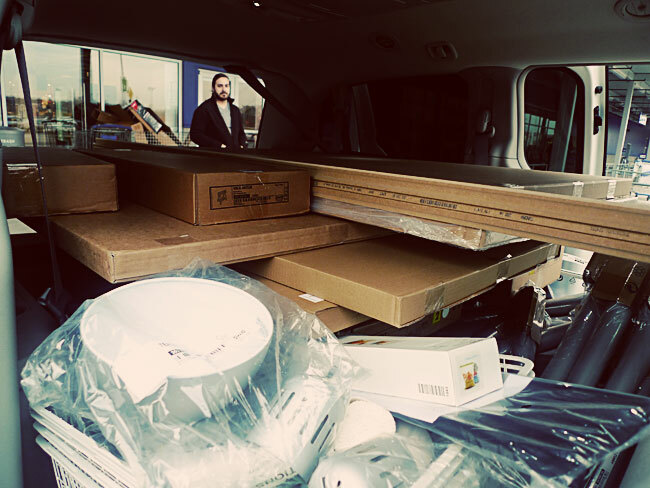 Check back on Monday to see what we've been doing with it all. Until then, I'll be swimming in allen wrenches.